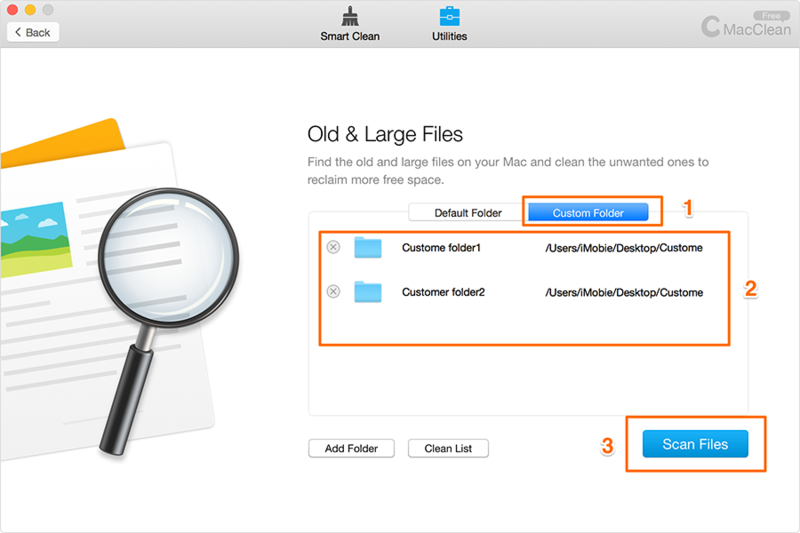 The Old & Large File Finder option in MacClean is made to help you locate your files that are taking up too much space or have not been used for a long time. 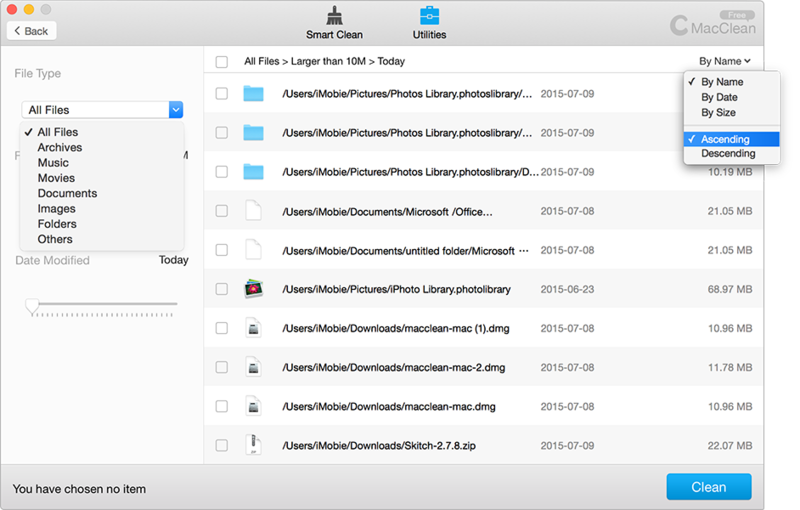 So you can make the decision of keeping them or removing them to free up space. 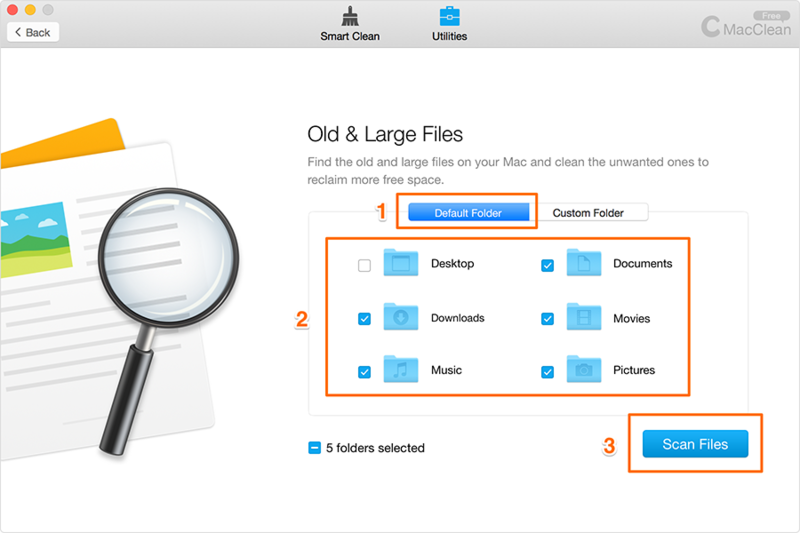 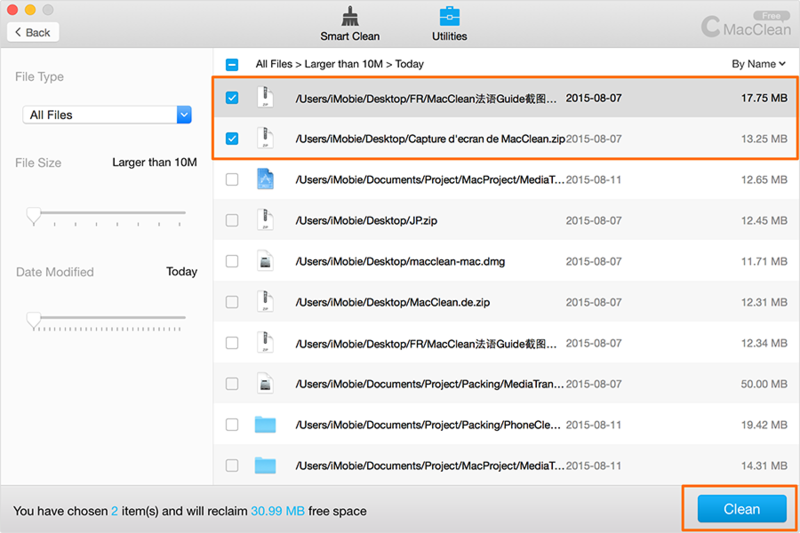 Follow this tutorial to manage the files on your Mac. 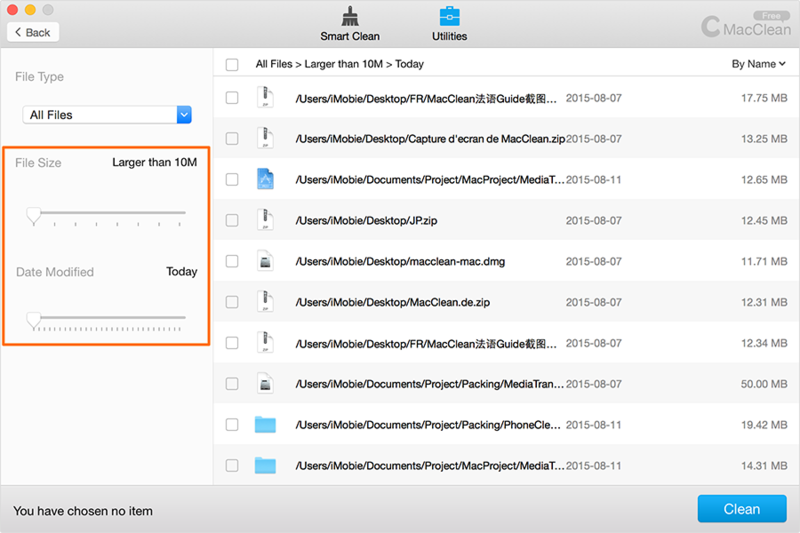 You can manually select the size and date criteria of the files in	the left. 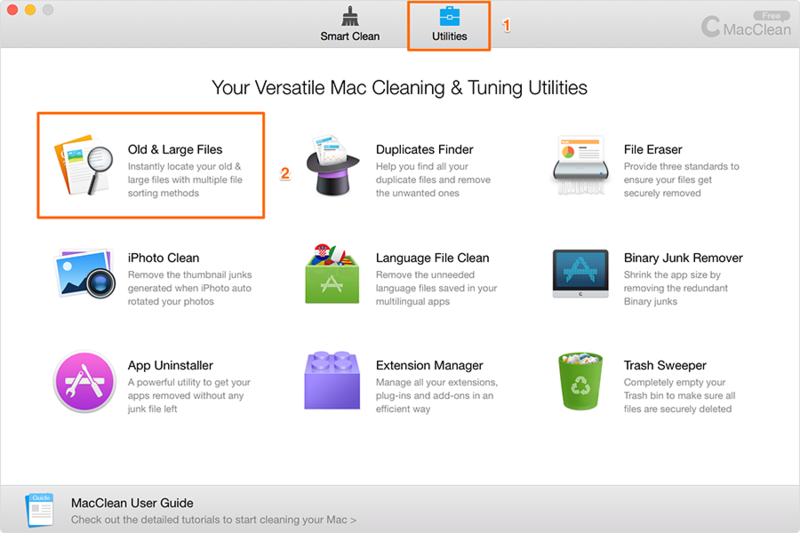 By default, the large files in MacClean refer to those files that are larger than 10M. 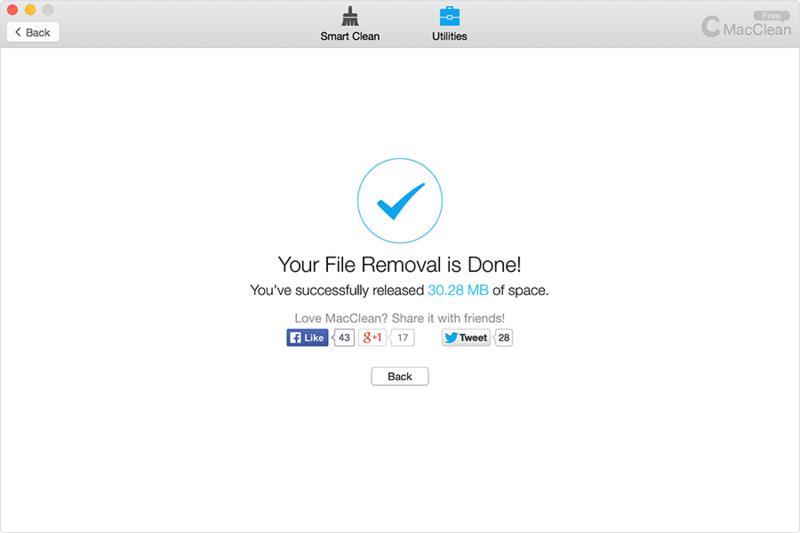 After Pre-check files finishes, you can click Clean to start the cleaning.